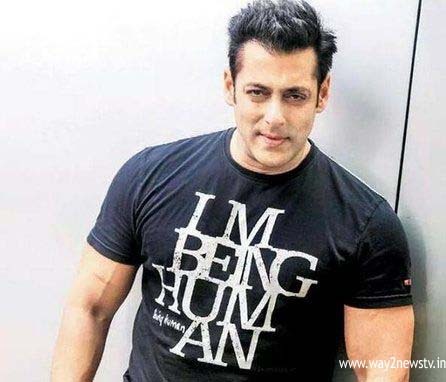 Bollywood super star Salman Khan is going to hubbub at the Hyderabad.He is organizing events in each city under the name ' Da bangg ... the Tour'.The South Indian cinema hub was set up in Hyderabad.Salman was recently went to Jodhpur jail ...in the case of Deer murder case.In this show he will get huge fan following.The organizers say , this is the rare chance to the fans in their life.The sale of tickets related to the program has already begun. Bollywood stars like Sonakshi Sinha, Jacqueline Fernandez, Indian Michael Jackson Prabhu Deva, Daisy Shah and Gurunardha will be coming to Hyderabad. There are huge arrangements for Salman Stage show to be held on May 12. Gachibowli stadium is preparing for this. The Stage Show, hosted by the Dabang Tour, will feature 120 dancers and other technicians. Live musical music. " making huge arrangements for the event with the focus of Bollywood Mega Star Fan Following".